Cross won his first Magarey Medal in 2012, capping off a stellar second season with the Panthers. Cross polled maximum votes in his final two games of the season against Glenelg and North Adelaide to finish the count tied with Bulldogs defender Brad Symes on 18 votes. In 2015, Cross join prestigious company, becoming one of a select few to win multiple Magarey Medals in SANFL history. Flourishing under the tutelage of senior coach Brad Gotch, Cross enjoyed his best season at South Adelaide to date. Cross entered the count as a red hot favourite and scored the maximum 3 votes in 4 of his first 5 games, before running away with the count and polling 25 votes to win. Recruited in 2011 from Scoresby FC Victoria, Cross quickly enamoured himself to the South Adelaide faithful with his skill and versatility on the field. An equally devastating inside and outside midfielder, Cross has not missed a game since joining the Panthers and now played over 100 games for the Club. 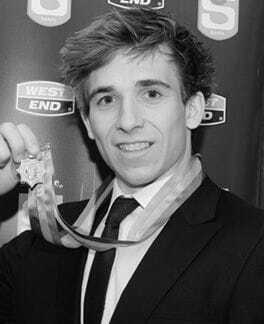 He has won two Magarey Medals (2012 and 2015), taken home the Club's highest individual honour, the Knuckey Cup, on two occasions (2011 and 2015), named as the Advertiser Player of the Year and in the Advertiser Team of the Year on multiple occasions, as well as being selected to the SANFL State Team several times.